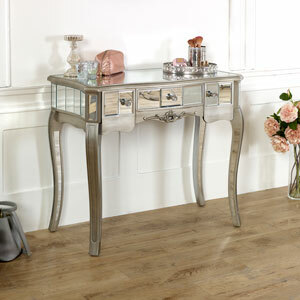 Mirrored dressing tables instantly add a sense of glamour and luxury to a living space. 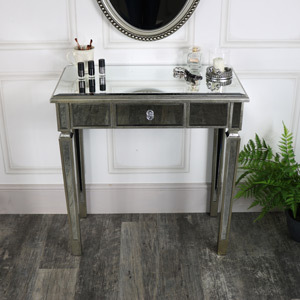 Mirrored dressing tables are perfect for anyone who wants to create a Hollywood style dressing room at home, as a mirrored dressing table oozes elegance and sophistication. 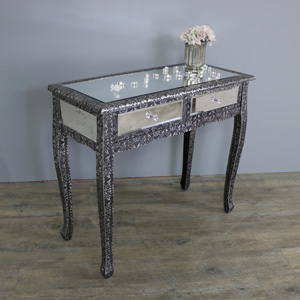 Mirrored dressing tables are so chic, so stylish and so on trend – mirrored dressing tables are one of the most popular styles we stock. 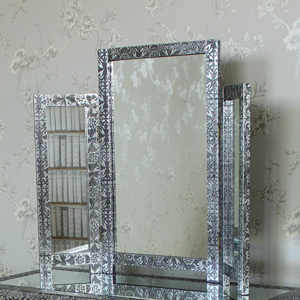 So what type of mirrored dressing table is for you? 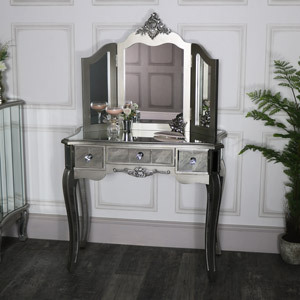 If you love ornate vintage French inspired style furniture and want a mirrored dressing table that will reflect this, try the Tiffany Range, one of our most popular collections of mirrored furniture. Perhaps you prefer simple furniture with a clean, art deco style design? 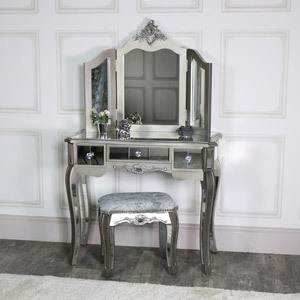 The Angelina Range dressing table would be perfect for you! Or maybe you love intricate detailing and want something a little quirky and different? Our stunning silver embossed Monique Range is everything you are looking for. Haven’t found what you were searching for? 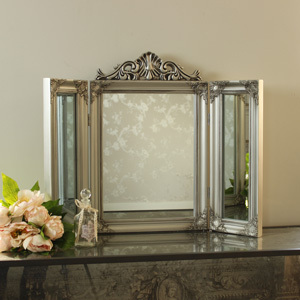 View our full fabulous collection of mirrored dressing tables and find the right mirrored dressing table for you.